“Level-boarding” refers to having trains that have interiors that are level with station platforms, so that a passenger does not have to climb any steps to board the train. 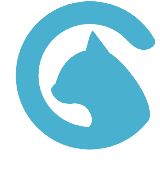 This allows people in wheelchairs to board quickly and easily without any special assistance. It also speeds up boarding and de-boarding by able-bodied passengers, who tend to be slowed down by steps. Faster ingress and egress reduces “dwell time” at stations, which means that trains don’t need to be stopped at a station for as long a period of time, which means a speedier trip, overall, for passengers. Despite the obvious benefits associated with level boarding, there are legal and physical limitations on achieving level boarding comparable to getting in and out of the elevator. Due to old freight railroad practice of freight train personnel hanging from a ladder on the side of the very slow-moving trains when maneuvering them around for switching, the California Public Utilities Commission has regulations on platform height and clearance from the tracks to prevent a crew member from being knocked off the side of a train when passing through a passenger station. Gauntlet track – A track slightly located away from, but overlaps the main track. 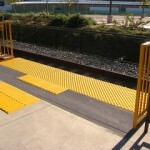 SMART has chosen this approach to meet ADA requirement of level boarding for new rail systems. Bridge plate – A plate would extend from the platform to the car door for passenger trains and would be pulled away for freight trains. Sprinter in Northern San Diego County use this approach. Bridge plate at Sprinter platform. The plates are lowered for freight trains running at night. Gauntlet track for the WES system in Tualatin Oregon. SMART will use the same type of vehicle and platform arrangement. Besides those two approaches, the other way to achieve level boarding is to change the CPUC regulations. High level platforms are common in the Northeast corridor. 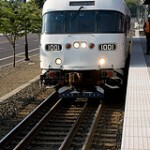 In Salt Lake City, FrontRunner commuter rail system have level boarding at all stations with standard Bombardier cars. In both cases, physical constraints still leave a platform gap large enough that a small bridge plate is required for some wheelchair users to board and exit.